The Russian Ministry of Defense has denied any unusual incidents or encounters with a US destroyer after the Pentagon accused Moscow of “unsafe and unprofessional” piloting in the vicinity of the USS Porter “patrolling” the Black Sea. On Tuesday, Captain Danny Hernandez, a spokesman for the US European Command, said that on three separate occasions, Russian military jets came close to the USS Porter destroyer in the Black Sea on February 10. 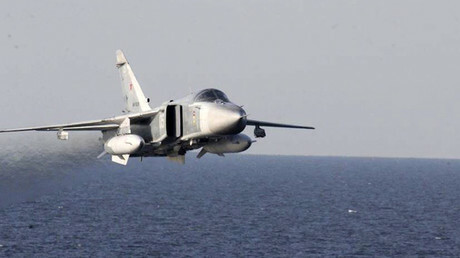 One of the incidents, the US official said, involved two supersonic Su-24 attack jets. The second one also involved a separate Su-24, while the third flyby was apparently made by an IL-38 maritime patrol aircraft. US Defense Department spokesperson Michelle Baldanza said the incidents were deemed “unsafe and unprofessional,” pointing out that the Russian aircraft did not have their transponders on. The Russian Ministry of Defense, on Tuesday, denied the US accusations. 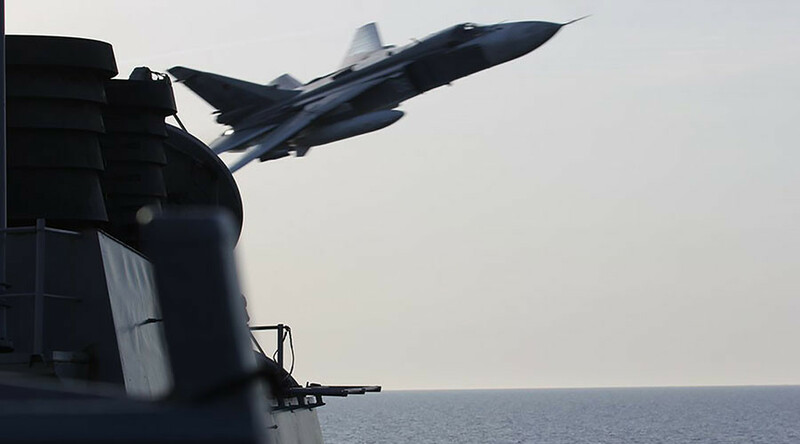 “There were no incidents related to a flyby of Russian military aircraft near the USS Porter destroyer in the Black Sea on February 10,” Maj. Gen. Igor Konashenkov said in a statement. “All of our flights were conducted and are being conducted over the neutral waters of the Black Sea in accordance with international rules and safety requirements,” the general added. Konashenkov was surprised to hear the US military were astonished to see Russian fighters so close to Russian borders. “If the US destroyer, as the Pentagon official claims, conducted a 'regular' patrol mission in the vicinity of Russia, tens of thousands miles away from their own shores, it is strange to be surprised about the no less regular flights of our aircraft over the Black Sea,” said the representative of the Ministry of Defense. While Moscow denied the claims, the encounters allegedly occurred on the last day of Sea Shield 2017 - NATO's maritime maneuvers in the Black Sea. The drills in the vicinity of Constanta, Romania, took place February 1-10. Some 2,800 seamen from Bulgaria, Canada, Greece, Romania, Spain, Turkey, Ukraine and the US practiced methods of defending against undersea, air and overland attacks. 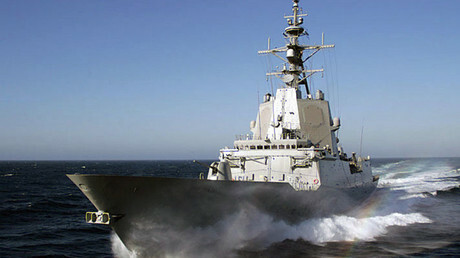 Overall 16 warships, one submarine, and ten aircraft took part in the drills. The Black Sea drills are just a latest in a series of actions NATO has taken close to Russia's borders. On January 31, US and Polish soldiers, alongside newly delivered American military hardware, also conducted joint drills in what has been described as the biggest US deployment in Europe since the end of the Cold War. Moscow has repeatedly voiced concerns over NATO’s military activity on its borders. In response, Russia stationed its most modern weaponry and armaments in its western regions, including the exclave of Kaliningrad, which shares a border with Poland and Lithuania, and is carrying out large-scale military drills on home soil, including the Black Sea. Friday’s alleged incidents are not the first time the US have accused Moscow of flying its warplanes “dangerously” close to US warships patrolling Russian borders. On April 11, 2016, the USS Donald Cook encountered multiple Russian Su-24 warplanes in the Baltic Sea. Judging by the videos released by the US Navy at the time, the sailors aboard the USS Donald Cook were unperturbed by the Russian aerobatic skills and instead gathered on the top deck of the destroyer to watch and comment on the Su-24's maneuvers.